After our last headphones feature, when we looked at four teeny tiny ways to get music into your brain, we were left feeling slightly underwhelmed. Sure, discreet headphones are great if you're going for a jog (or trying to cheat during an exam) but there is nothing like the all-encompassing feeling of a pair of big chunky headphones. To that end we take a look at such a pair of Bluetooth cans from our chums at KitSound. We review the KitSound Clash Evolution. These on-ear headphones are a glorious sight to behold. Obviously you wouldn't be able to smuggle these into a funeral to listen to podcasts while the eulogy is read, but that was clearly KitSounds point: bold styling, bold sounds. In terms of the build, the KitSound Clash Evolution headphones are very sturdily put together, using a nice mix of plastic and aluminium. Despite those chunky square cans, they don't weigh all that much, and even after prolonged wearing they never seemed like a dead weight. Certainly the long-term listening (like when the funeral goes on for hours) was aided in no small part by the soft cushioning pads around each can, which was gentle enough not to squash your ears, while being firm enough to not let the Clash Evolutions slip straight off your noggin. Those square ear pieces certainly provide the headphones with an old-school look, so in aesthetic terms it is quite jarring to see the remote controls on the side. Once paired with your Bluetooth device the headphones themselves have the ability to control volume, play/pause, and also track skip. You can also use the buttons to answer calls should you be connected to your phone, and there is also a microphone built in. Hello mum, can I call you back? 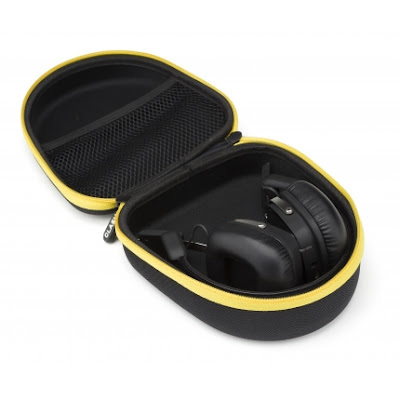 THESE HEADPHONES COME WITH A CARRY CASE! YIPPEE! WE BLOODY LOVE CARRY CASES! AND IT'S A GOOD ONE TOO! IT MATCHES YOUR HEADPHONES' COLOUR. YES! Right, where we're we? Oh, yes... 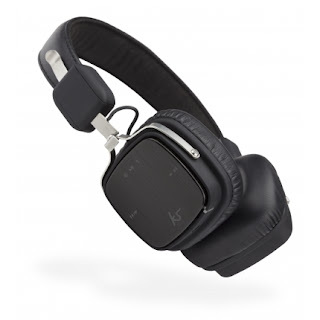 In terms of performance the KitSound Clash Evolution sounds great thanks to the 40mm drivers in each ear. They won't necessarily blow you away, but for every day use they provide a decent range of high and lows, and just the right amount of thumping bass. They're certainly not the best headphones we've ever tested, but considering these are sub-£80 they are extremely impressive. The fact that they can fold up relatively tightly and fit snugly in their carry case (did we mention they come with one ?) 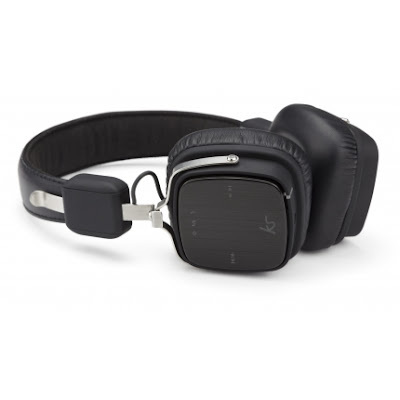 makes them perfect commuting headphones - especially when you learn about their awesome ten hour battery life. So these are fantastic headphones, ticking boxes in the looks, comfort, and - most importantly - performance categories. 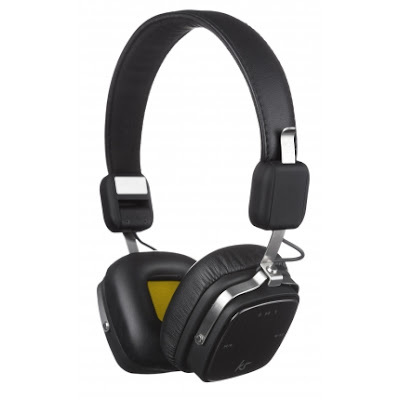 For decent sound at a decent price, we heartily recommend the KitSound Clash Evolution Bluetooth Headphones.